You’re Gonna Want Everything From 6 Of These Cherry Blossom-Inspired Collections! Cherry blossom, cherry blossom everywhere! 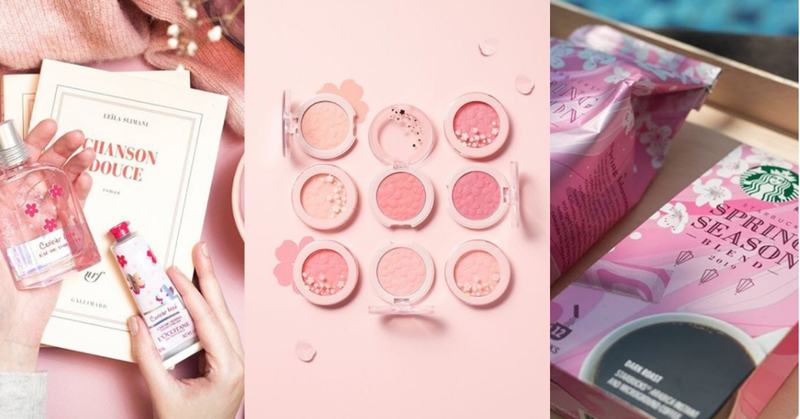 With many cherry blossom-inspired collection have been released by big brands with the main concept of pink petal-hued packaging that are just too pretty to resist! Let’s take a look at some of the collections and get your pen and shopping list pad ready! M.A.C2019年Spring Collection🌸💄 Boom,Boom,Bloom . . 日本の桜からインスパイアされたとってもかわいい春コスメがイセタン メイクアップ パーティにて先行発売 . 3月6日（水）伊勢丹新宿店先行発売＆生産数量限定発売🤣🎉👏🏻 6日（水）～11（月）は本館6階=催物場での販売となります。 . . . . 使用製品 リップガラス/ チェリーモチ フォー ザ フリル オブ イット ハート メルター ピンク ア ブー . .
🌸 P l u m B l o s s o m 🌸 I’m easily captivated by pink, floral and anything romantically scented. I love the texture, the scent, the feeling of this new skincare series on my skin. 🌸🌸🌸🌸🌸🌸🌸🌸🌸🌸🌸🌸🌸🌸🌸🌸 Bloomstay* series contain plum blossom extract which has anti-oxidant effect and helps to take care of visible signs of aging. I immediately love the First Care Activating Serum Gentle Blossom and the Bloomstay Vitalizing Serum. If you have tried its original First Care, this new version has a floral scent. It feels therapeutic when you inhale the scent. The Bloomstay Vitalizing Serum has a stickier texture and it requires you to massage into your skin for it to be fully absorbed. Recommend to use it at night if your mornings are always in a rush 😅 *This Bloomstay Vitalizing Serum pre-launch set is selling at S$188 (worth more than S$300), I think it’s worth getting it now. Launch date is 1 March 2019. Spring blooms in the shades of pink. NEW merchandise in stores now. Let us know which of these collections are your must-have for this cherry blossom season in the comments down below!